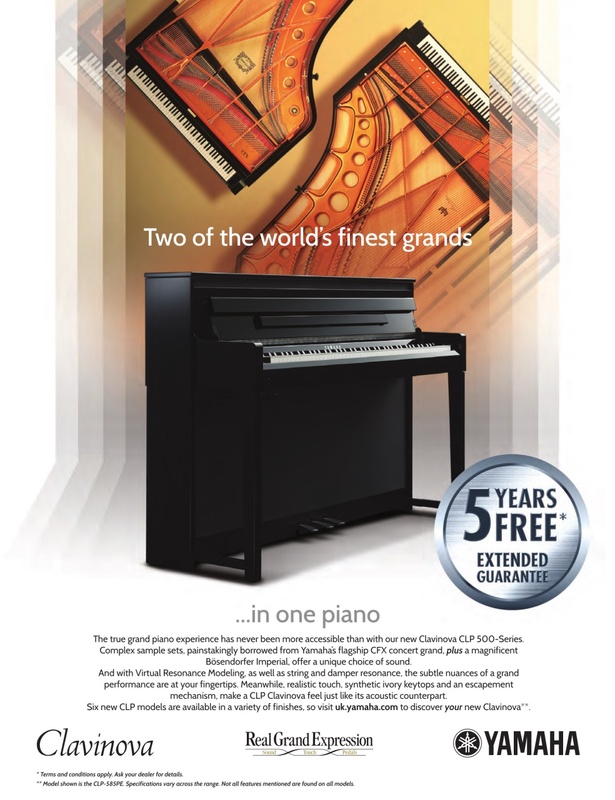 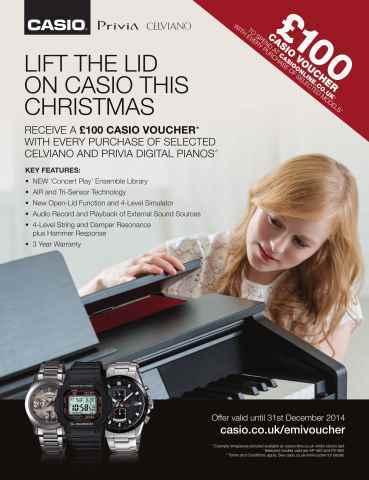 WIN A CLAVINOVA WORTH £1,700. 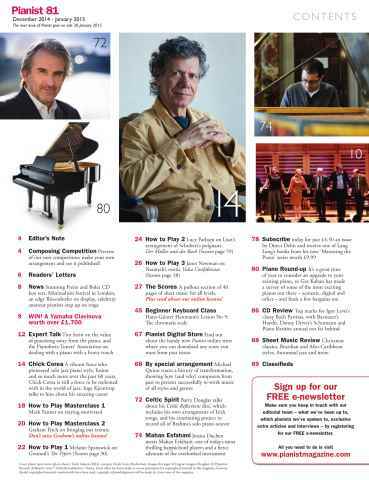 Cover star is the legendary Jazz pianist Chick Corea. 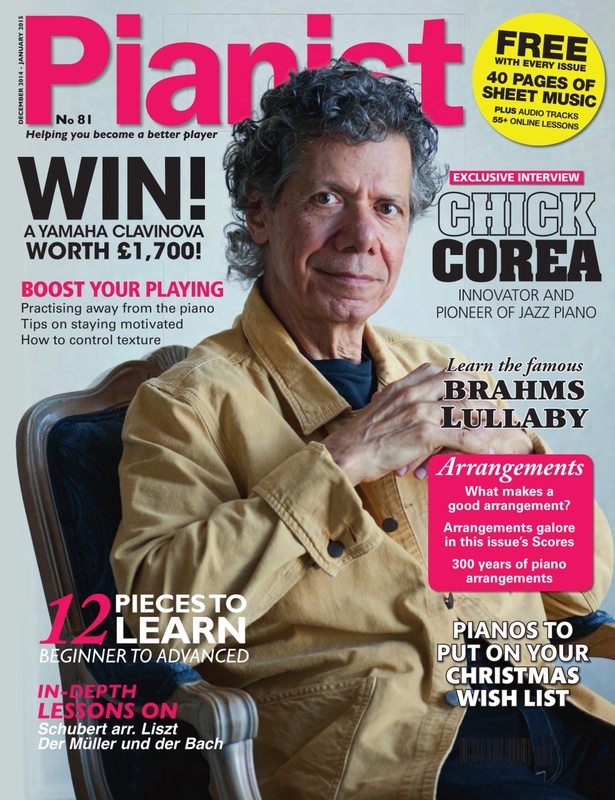 Masterclasses on bringing out the piano's texture and keeping motivated; a lesson on an exotic Nazareth waltz and Liszt's Der Müller und der Bach. 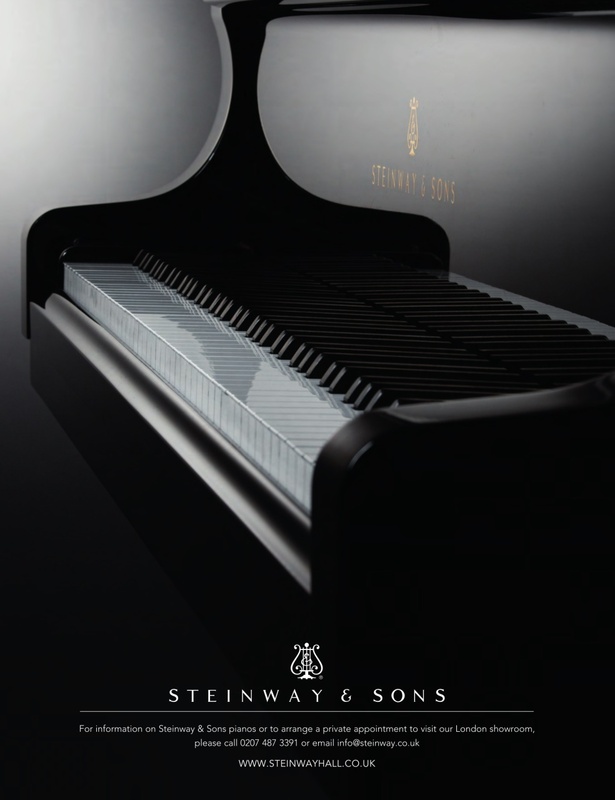 Scores include works by Grieg, Lyadov, Haydn, Gounod & Borodin. 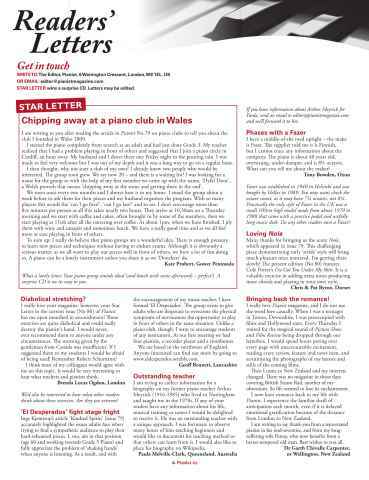 Plus 'We Wish You a Merry Christmas' in the style of Bach! Also the famous Brahms Lullaby and 'Danny Boy'. 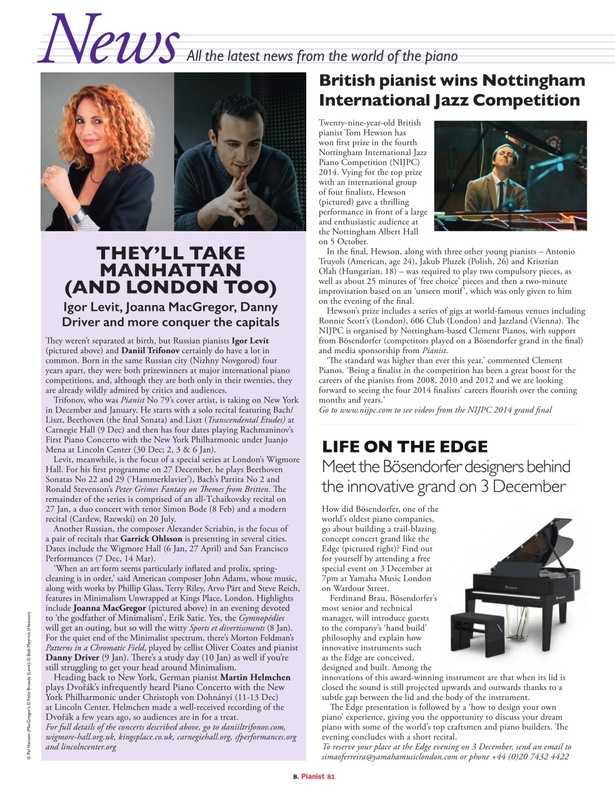 Four-page feature on pianos for all tastes and budgets. 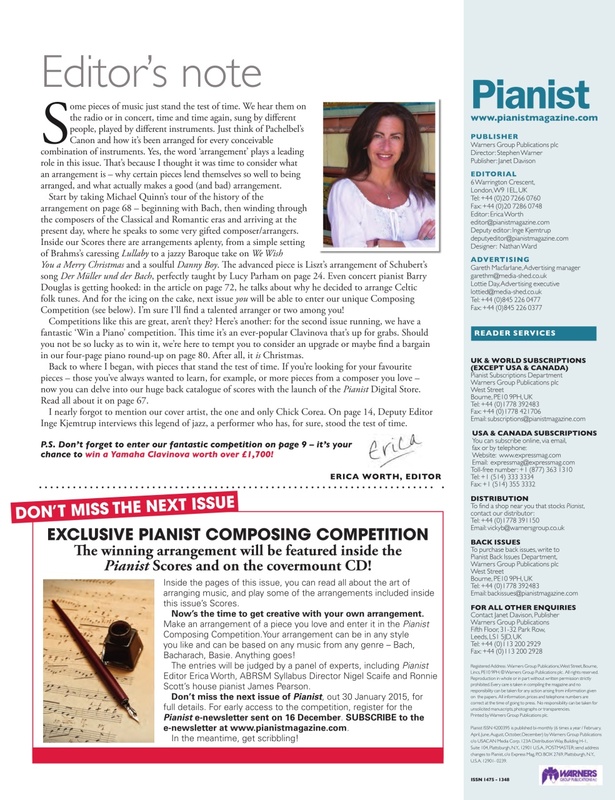 Article on piano arrangements, plus find out about how to enter our unique Composing Competition!